Jason Hoff will be the new head of Quality Management at Mercedes-Benz Cars, effective on July 1, 2019. Mercedes-Benz U.S. International, the Tuscaloosa County, Alabama-based production arm of the luxury car maker is getting new leadership, as CEO Jason Hoff takes on a new role in Stuttgart, Germany the company announced today. Hoff will leave his current job as head of Production SUV/Sports Cars and president and CEO of MBUSI July 1 to become the new Head of Quality Management at Mercedes-Benz Cars worldwide. Replacing him at the Vance, Alabama plant will be Michael Göbel, currently head of Compact Cars Production for Mercedes-Benz Cars. 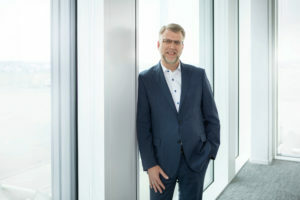 When he assumes his new responsibilities, Hoff will succeed Jörg Burzer, who, in turn will succeed Markus Schäfer as a member of the Divisional Board of Management of Mercedes-Benz Cars, Production and Supply Chain. Hoff, who has been head of MBUSI since 2013, will “remain closely associated with all Mercedes-Benz Cars production plants worldwide,” the company said in its news release. Hoff’s history with the company includes an earlier stint in Stuttgart and other roles at the Vance plant. In an earlier assignment in Germany, he was responsible for procurement of interior components for the Mercedes-Benz C- and E-Class sedan. Before that, Hoff held various management positions at MBUSI, including vice president Logistics and head of Assembly and Procurement. As head of MBUSI, Hoff oversaw production of Mercedes’ GLE, GLS and GLE Coupe SUVs sold worldwide as well as the C-Class sedan for North America. In September 2017, MBUSI announced a $1 billion plant investment mostly slated for the company‘s electric initiative,which includes the construction of a Mercedes-Benz factory in Bibb County, Alabama to produce batteries. The Vance plant employs more than 3,700 people. The new head of that plant, Göbel, is no stranger to the Tuscaloosa County operation, where, in 2008, he was the head of Planning. Before that, Göbel began his career at Mercedes-Benz’ parent company Daimler in 1990 at the Mercedes plant in Mannheim, Germany and then Rastatt, Germany in 1994. Michael Göbel, Head of Compact Cars production Mercedes-Benz Cars, will be the new Head of SUV/Sports Cars Production and President and CEO of Mercedes-Benz U. S. International (MBUSI), effective July 1, 2019.